Homeschooling... the technical form of it, is on hold this week. Appointments and distractions necessitated it and last week's adventures were filled with unfocused follies which clinched it. I informed the kids we were calling it "eclectic homeschooling" this week and set them into a direction of self-teaching and exploring. They are also (surprisingly) lamenting over not doing math workbooks and spelling reviews. Have I created schooling monsters??? Gladly, yes, I think I have!!! They seem the antithesis of each other (I love that word, thank you English from the Roots Up for helping me infect my kids with its meaning in a tangible way!!!) But, truly, they are not. To teach my kids to teach themselves and love learning through living as an example before them and teaching them what I know along the way... God's Word FIRST and all else second. I have been reflecting much in my state of Blooming Taking Shape. 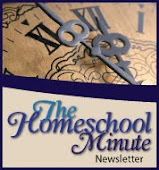 What does our homeschool look like? Just how do I transform and grow with my growing learners? How do I prepare my 10th grader (and those coming after her) to be a functioning.... nay... a thriving adult in an often critical and deceptive society? I have to make sure they can think. I have to do what I can to instill in them a love of learning (not just throw learning at them). Learning isn't the filling of a pail it is the lighting of a fire. I have, recently, in my reflections, also realized that all the books and articles are great.... but I am not those moms.... my kids are not those kids. And while each has encouraged and inspired me, none have quite fit ME... US... our homeschool. This year of bloomy praying has stripped me down and left me bare. And now, as I seek to re-clothe the petal of homeschooling and children and motherhood... I find that homeschool is not what I can model after someone else's great ideas... it is what I can model for my children to inspire ideas. I'm saying good-bye to the high expectations of self and perfect-looking homeschooling created by trying to follow all the advice of experts (though I know the temptation will still needle me!!!). I'm saying Hello to us... who we are... as God has designed and called us. I am going to embrace what our day looks like instead of striving unsuccessfully for what others say it should be. I'm not going to care where we are lacking because I know through His rested assurance that we will get there and we don't have to keep up with the Joneses to be there the same time as everyone else.... wait.... we are the Jonesses!!! Well, don't try to keep up with us ;-) We are blazing fires and if you do anything like I do... set your own fires, in your own areas of wilderness, to clear a path for YOUR learners, the way they learn! 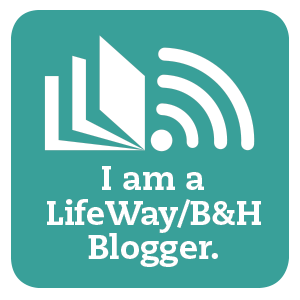 I will still read articles and explore the paths others have walked. They inspire me. But I will no longer allow them to be unrealistic standards which I often fail to meet... and then feel like a major looser for missing on! With God as our Guide, our Counselor, our Light... we will see the way and it.will.be.good! I pray you will too! !